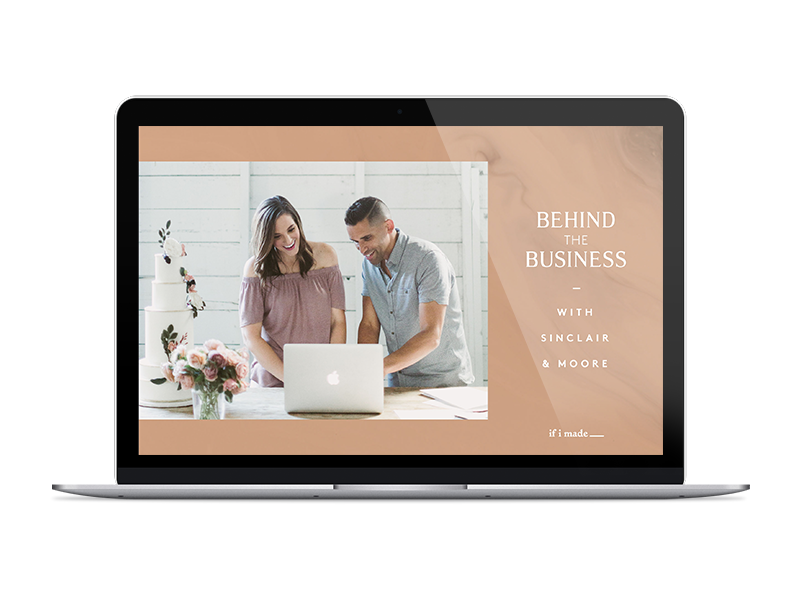 In this course you’ll learn how and why Steve Moore makes every decision required to transform wedding visions from initial inspiration to execution. Hear Steve Moore share the story of his 16 years in business and how he progressed from making wedding dresses and cakes to becoming one of the industry’s most renowned wedding designers. Learn the 15-step process Steve works through with every client in order to come up with design ideas for their wedding. 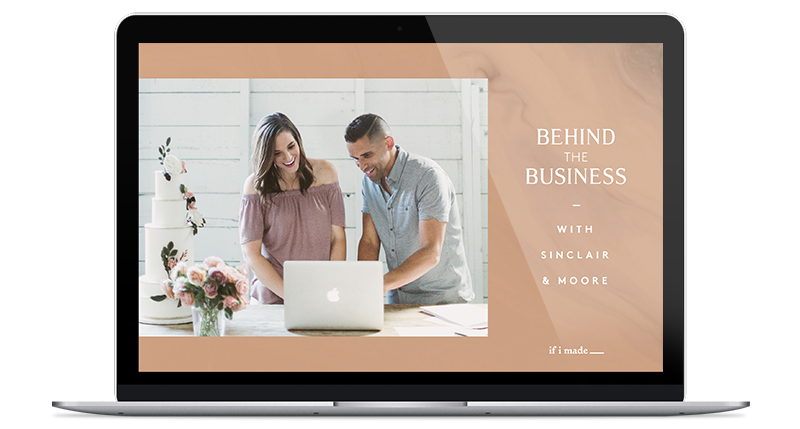 This detailed (and foolproof) process begins after a client has booked with Sinclair and Moore and progresses through until the point of presenting them with their visual proposal. 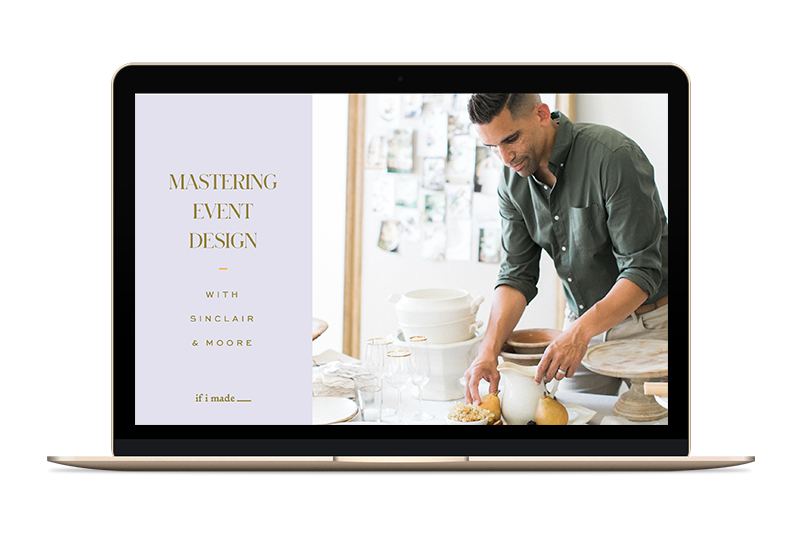 See Sinclair and Moore’s Design Exploration Process in action as Steve gets to work designing a wedding for a real client. You’ll have the opportunity to watch Steve’s initial design meeting with his client, as well as a vendor meeting with the wedding cake designer. Throughout this video you will see how Steve works through his client’s initial ideas and refines them into a beautifully-curated inspiration board that resembles a Modern Dior design. Once the design direction has been determined, learn how Steve makes every decision required to select the tangible pieces needed to bring the Modern Dior wedding vision to life. You’ll hear Steve talk through a consideration of each design element, from linen, plates, flatware and glassware through to vases, floral, stationery and chairs. You will also get to watch Steve present the finalized visual proposal to his client. Watch Steve bring his client’s Modern Dior vision to life. You’ll see step-by-step how he executes all of the design elements and sets the perfect table. Steve will talk through how and why each decision is made including intricate details such as napkin folds and the positioning of all tabletop pieces. You’ll also see the completed wedding cake as well as the client in her wedding gown for a comprehensive overview of how all of the elements came together to complete a cohesive look. Now that you have a thorough understanding of Steve’s Design Exploration Process, we’re going to see how he would go about applying it to create an entirely different look, this time inspired by an outdoor Tuscan dining experience. Starting with the initial inspiration board, Steve will talk through his design process as well as share all of the decor details he is considering. Most helpfully, Steve will share why it is that he has chosen the pieces he has, and how they contribute to the overall Tuscan Inspired vision. We take a trip to Jamie Moore’s family home as Steve and Jamie work to execute the Tuscan Inspired dining experience in the family’s backyard orchard. Watch step-by-step how the tablescape is brought to life, including considerations of food styling and a dessert buffet. Watch Steve approach and develop his ideas for one final design, this time inspired by A Secret Garden. To be executed at a prominent Seattle wedding venue, Steve turns a fresh eye to the outdoor venue with the intent to transform it into an enchanting experience for guests. See the images that influenced his design direction, as well as all of the decor elements being considered to best bring the ideas to life. In this floral installation tutorial you will see how Steve and his team execute a lush, garden-inspired floral arch that frames the entrance to a wedding venue. Using no floral foam and without a metal framework to build off of, you will learn step-by-step the mechanics and techniques required to create this stunning feature piece. Watch and learn as Steve teaches you how to create a signature Sinclair and More floral centerpiece completely foam-free. He’ll begin with best-practice techniques for using a floral frog, and then show his process for greening and adding flowers to the design. In this final execution video you will see the creation of the Secret Garden tablescape and all of the design considerations that Steve worked through, including the relocation of the table due to challenging weather. To demonstrate the impact of every decor-related decisions, Steve shows how this overall look could be transitioned to suit different aesthetics by the selection of different pieces such as alternate chairs, linens and candles.